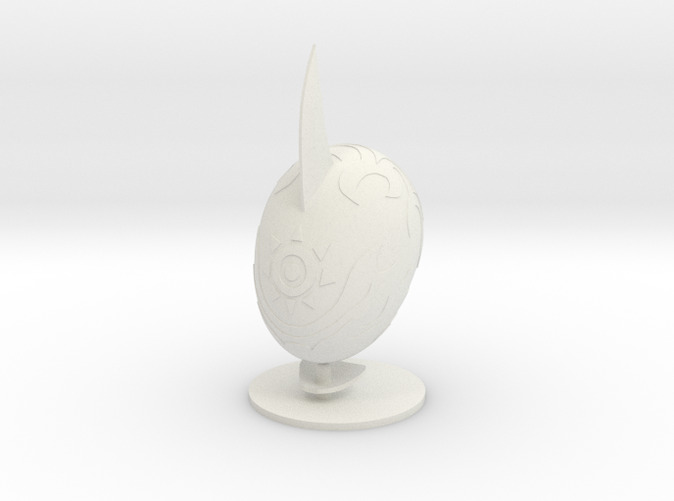 This print is for a Digimon Digi-Egg of Courage. It comes with a curved stand. This quite a large print, so make sure you checkout the dimensions to be sure what you're getting. About the size of a mandarin orange, this would make a fantastic shelf piece; or paint it for a stunning look!